"You have no power here! Begone before somebody drops a house on you too!" There's something about the stripped stockings that i just love. And the house. Falling on the Wicked Witch of the East. Favorite scene. Ever. Ok, so yeah, I went a trifle bit "fan girl scream" in my head. Sorry about that! 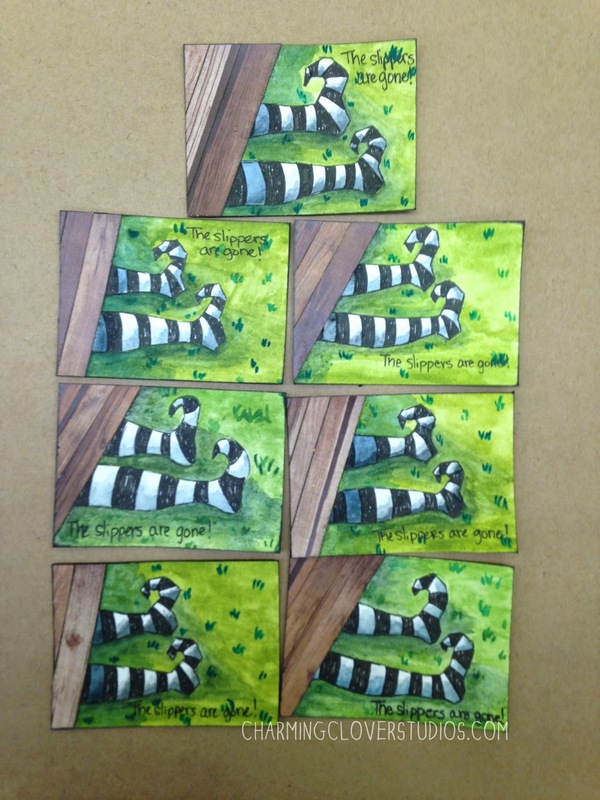 I wanted to take a slightly different approach with these ATCs. I haven't done much drawing lately and I figured I could manage to hand draw these. So I did! I made them a little "sketchy" so they'd have the look of a printed stamp without having to actually buy a stamp. Faber-Castell Pitt Pens, watercolors, and "wood" pieces of patterned cardstock. Which makes an excellent house - even though the house is white in the movie. This was a fun swap to do! Now I'm off to see the Wizard and travel over the rainbow (must go watch movie! ).